In the early 2000s, Capcom was among the most successful Japanese publishers, mostly thanks to a game released in the late 90s which changed gaming forever: Resident Evil. After three entries in the series, the Japanese publisher started experimenting with the survival-horror formula introduced in Resident Evil, releasing titles that featured some interesting spins on said formula, which led to the release of Dino Crisis and Onimusha: Warlords. The latter separated itself from the Resident Evil series thanks to a much more action-oriented experience and setting, which was further expanded with the sequels. After a very long wait, Onimusha: Warlords has made its leap from its PlayStation 2 origins, with a more than competent remaster that, sadly, ends up highlighting how the experience hasn’t aged well at all, despite its many unique features. Onimusha: Warlords is set in Japan during 1560, shortly after Nobunaga Oda’s victory against Imagawa Yoshimoto and his clan. With his enemy defeated, the warlord turned his attention to the Saito clan, the strongest allies of the Yoshimoto clan, but he is killed during the march toward Inabayama castle by a stray arrow. Nobunaga Oda’s war, however, is far from over, as he is brought back to life by demons, and he manages, with their help, to conquer the castle and kidnap Princess Yuki to use her in a terrible ritual which will solidify his power but also make the demons stronger than ever. Before getting kidnapped, Princess Yuki manages to send a letter to her cousin Samanosuke Akechi, a masterless samurai, warning him that strange things are happening in the castle, with servants disappearing overnight. Setting out to save her cousin with the help of the ninja Kaede, Samanosuke finds Inabayama Castle, now held by Nobunaga Oda, overrun with demons. 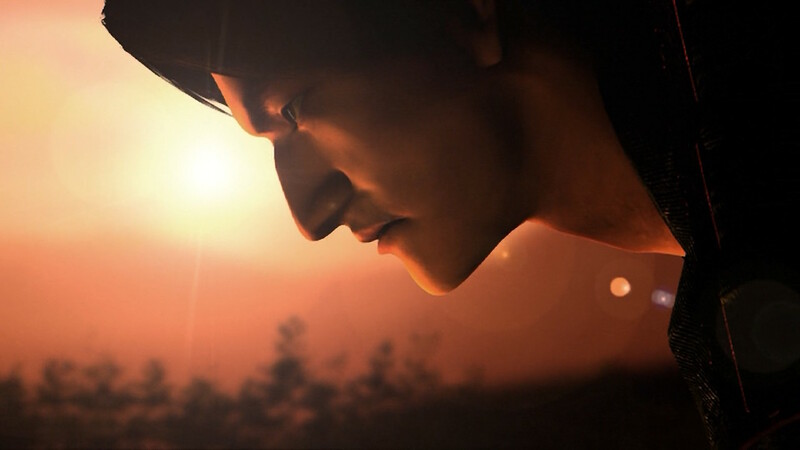 During his journey to save Yuki, Samanosuke will come to learn about Oda’s resurrection and what the demons have in store for humanity. Onimusha: Warlords’ story combines real-life historical events, like Nobunaga Oda’s wars to unify Japan under his rule, and fantasy elements, like the influence the demons have had on real events. The story is told through pre-rendered cutscenes, which have been enhanced for the remaster, as well as with in-game graphics’ sequences and documents scattered all over the castle. While the story itself is not particularly original, there’s enough mystery to keep things going until the end, which sadly isn’t all that satisfactory, as it leaves many threads hanging. Some of these threads are resolved in the sequels, but until remasters are out, the only way to experience the second and third entry in the series is by hunting down the original PlayStation 2 releases. 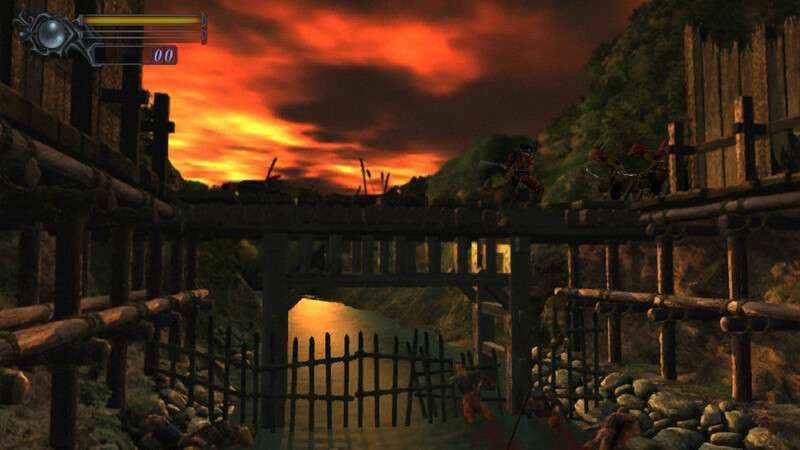 As mentioned at the beginning, Onimusha: Warlords features the survival-horror formula made famous by Resident Evil with a unique action-oriented twist. Gone are the days of limited ammo and avoiding enemies to save resources, as players need to defeat enemies in order to proceed through the game. Onimusha: Warlords features the same static camera seen in the classic Resident Evil games, as well as similar controls, which definitely feel floaty today. Outside of walking and running, players can also perform a strafing maneuver which makes it easier to avoid enemy attacks and block enemy attacks. 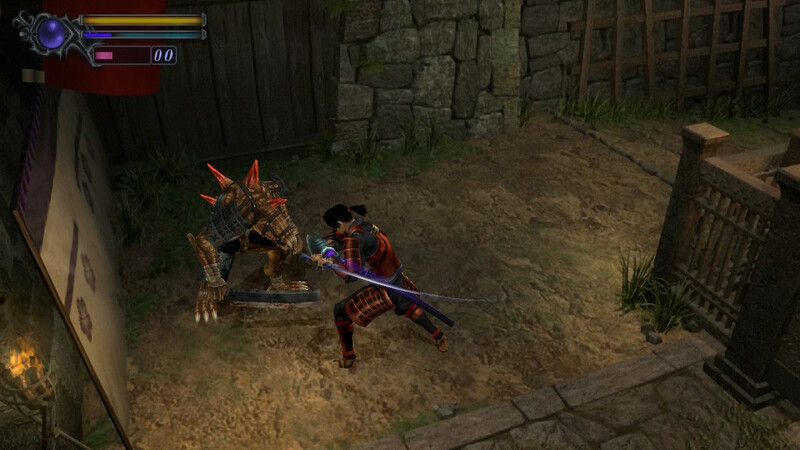 Samanosuke is armed with a regular katana as well as three different weapons, obtained all within the first hour of the game, which come with elemental powers that can be unleashed if the magic meter is at certain levels. Magic, Health and experience orbs, which appear after defeating the enemy, are absorbed through the Orc Gauntlet, which Samanosuke obtains right at the beginning of the game. All three weapons and their respective cores can be enhanced by using the souls of defeated enemies. Powering up weapons increases their damage while enhancing cores allows players to unlock doors marked with two or more cores. Since story progression often happens behind these doors, players must defeat enemies to enhance the cores to proceed, making combat way more important than in Resident Evil games. Combat is extremely straightforward, and far from the complexity of modern action-adventure games. Samanosuke can perform a regular, three hit combo with any of his weapons, a kick attack, a stabbing attack if the enemy has been knocked down, and an elemental special attack, with enough magic meter. In a way, the Onimusha: Warlords’ combat feels a lot like a primitive Souls game: even though there is no stamina gauge, mashing the attack button will not get you far, as enemies sometimes are not staggered by attacks, and they will retaliate before you have the time to block or strafe. Making the game feel even more like a Souls game is the fact that difficulty is very high at the normal setting, and it usually takes only a few hits to die. The remaster adds an Easy Mode, which is very, very welcome, also in light of the save system, which allows players to save the game only by accessing specific save mirror scattered all over the castle. While combat works well, for the most part, it’s hard not to see how dated it feels today. The Resident Evil-like controls and camera make things a bit frustrating, as it’s easy to get a camera change in the middle of combat, which completely messes up the directional controls. This is even more frustrating during bosses, making it clear how Capcom was still far from perfectly tweaking the classic Resident Evil formula for a more action-oriented experience. When not engaged in combat, players will also have to solve a variety of puzzles, in true Resident Evil fashion. In Onimusha: Warlords, however, puzzles are more built for speed, as, quite often, they must be solved with a strict time limit. Puzzles are extremely varied, ranging from those involving pressing the right panels on a floor, pulling the correct lever, place pieces on a board in the correct order and so on. 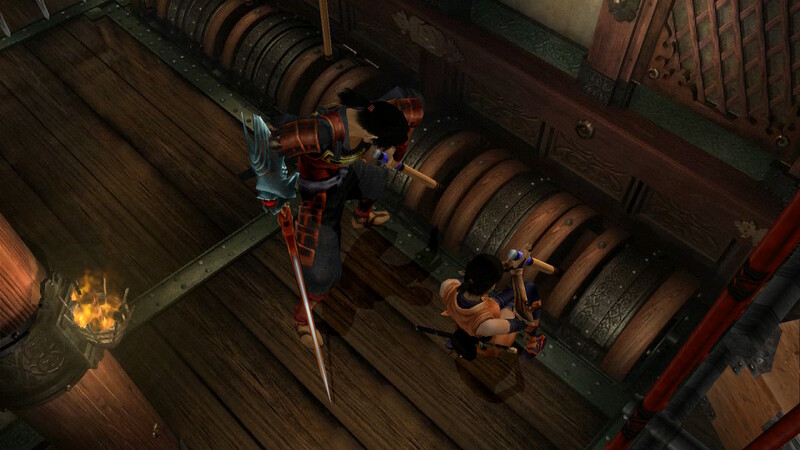 At times, players will have to switch between Samanosuke and Kaede to solve some of them. Puzzles are definitely the highlight of Onimusha: Warlords, but also one of the biggest issues of the remaster: many of them, if failed, lead to a game over, forcing players to start from their last save point. As cutscenes cannot be skipped, this can lead to frustration. While some of the features that make feel Onimusha: Warlords dated couldn’t have been fixed without essentially remaking the game, Capcom has done its best to make the game feel more modern. Alongside the aforementioned Easy Mode, the game finally supports analog controls, which make things a bit more manageable in combat. Graphics have also been improved considerably, with details on character models finally being clear, and the static backgrounds looking better than they ever did. Performance is also solid on Nintendo Switch, with the game running at steady 60FPS in both docked and handheld mode. The resolution takes a small hit in the handheld mode as expected, but the game still looks quite good on the console’s small screen. Music is also acceptable and well suited to the game, but the English voice acting is truly horrendous, made even worse by the writing and bad Japanese to English translation, and total lack of lip-synching. Given the setting, playing the game with Japanese voices (which have actually been enhanced in this remaster) is the only way to go. At the end of the day, Onimusha: Warlords is still a very nice experience, but the remaster only highlights how the game hasn’t aged well at all, with many of its features feeling dated. Changing them to make them feel more modern, however, would have changed what Onimusha: Warlords truly is, so Capcom really couldn’t do more than they did to let a new generation of players see where many mechanics of modern action-adventure games originated from.